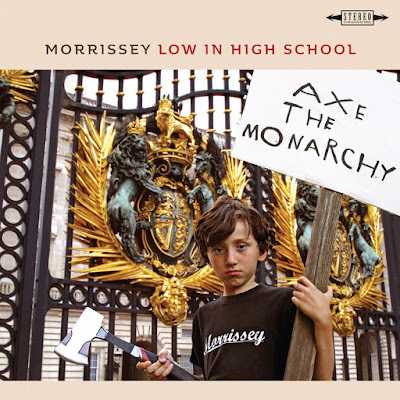 Morrissey will release his new album, Low in High School, in November. Now, the former Smiths singer, who recently joined Twitter, has revealed the album details. Take a look at the cover, above, and the tracklisting, below, and hear the first single, "Spent the Day in Bed."